Award-winning theatre company 1927 returns to The Old Market this Christmas with a breathtaking theatrical journey of startling originality. It’s the second time global sensation The Animals and Children Took to the Streets has come to the venue, having taken to its stage five years ago. Since then, it’s racked up more than 400 showings in almost 100 venues across 28 countries – including three seasons at the National Theatre London. Pretty much the opposite of ‘sophomore syndrome’, then. Eight years since its debut at the Sydney Opera House, the production is being toured for a third time – but has it managed to hold up to its earlier precedent? The Animals and Children… follows the story of the Bayou, a part of the city feared and loathed far and wide. Inside it lies the infamous Bayou Mansions, a sprawling stinking tenement block, where curtain-twitchers and peeping-toms live side by side, and the wolf is always at the door. When Agnes Eaves and her daughter arrive late one night, does it signal hope in this ill-fated place, or has the real horror only just begun? The story is told through a synchronisation of live music, performance and storytelling, with stunning films and animation. There’s influences from early 20th century film in the aesthetic, which is pieced together by animator, illustrator, and two stage makers. Theatre-goers will relish in the craftmanship behind the production, which seamlessly blends projected animation with live performance – like a graphic novel burst into life. Keeping with this theme is the refusal to rely on the English language throughout the production – a unique feature which means the production shown on our stages is identical to that which is shown in Spain or elsewhere in the world, and which hasn’t changed much (if at all) over the course of its three revisions. “Ordinarily, it is what it is,” says Crowley. “We may slightly change the odd snippet of spoken word to fit in with the audience, but otherwise it’s untouched, it’s exactly the same wherever you go.” A beautifully surprising resolution then, particularly considering she later tells me The Animals and Children… morphed numerous times during its creation. Yet it’s probably just as well too, as the animation for this wickedly twisted tale took a year and a half to complete. 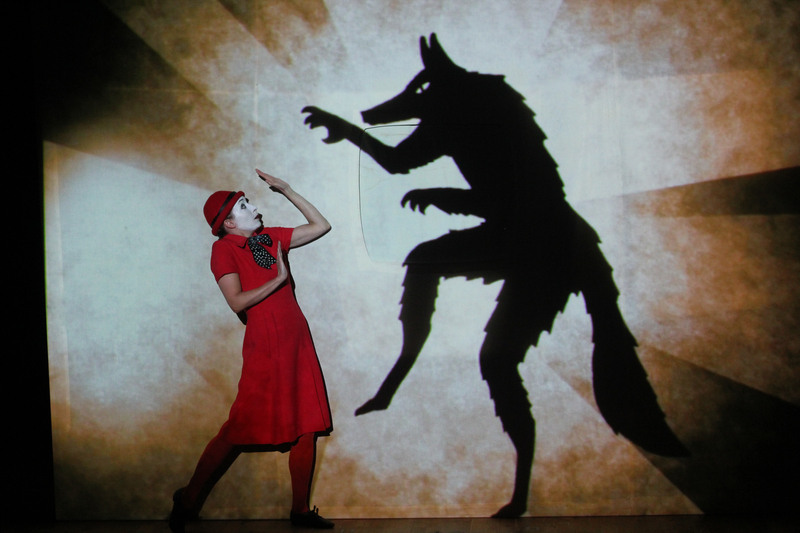 Over the years, 1927’s productions have drawn comparisons to the works of David Lynch and Tim Burton, and The Animals and Children Took to the Streets is seemingly no exception: its macabre storyline is told with equal parts quirkiness and poignance, while its inventiveness will surprise even the most seasoned of theatre-goers. The Old Market itself has pipped this production as one which will “make your Christmas”. There’s only one way to find out. The Animals and Children Took to the Streets is at The Old Market from Weds 19 Dec – Sat 12 Jan 2019. Previous articleSticky Mike’s closure: what’s going on with Brighton’s music venues?